But, what happens if you don’t have time to get your car into a garage and are wondering about the tire tread depth on your current vehicle? While this isn’t the best option, there are ways that you can test your tire tread depth yourself. You’ve probably heard people refer to this, but maybe you’ve never known what it was about. Grab a penny that you have lying around and stick that penny head down with Lincoln’s face looking at you. (basically, it looks like he’s doing a headstand and staring at you). If you can see his entire head, that means that your tire tread is too low and it’s time to get new tires. Don’t have a penny lying around, but found a quarter instead? That’ll work, too! The same concept as the penny check, but this time, use your quarter. Turn it upside down with Washingtons face looking at you (he’ll look as though he’s in a headstand as well) and if the top of the tread touches the top of Washington’s head, you only have about 4/32 inches of your tread remaining in your tire so it’s time to replace those tires! Besides testing your tire tread depth, there are also visuals that you need to be keeping an eye out for on your tires. If you notice any type of chunks taken out of the sidewalls, head to your local auto mechanic in Melbourne, FL as soon as possible so they can double check the life left for the tire. Also, be aware of any cracks that you may see in your tire. In order to really get a good view of your tires, make certain you look at them during the daylight and are eye-level with them. Glancing at them from far away may cause you to miss out on the cracks or other items of concern. 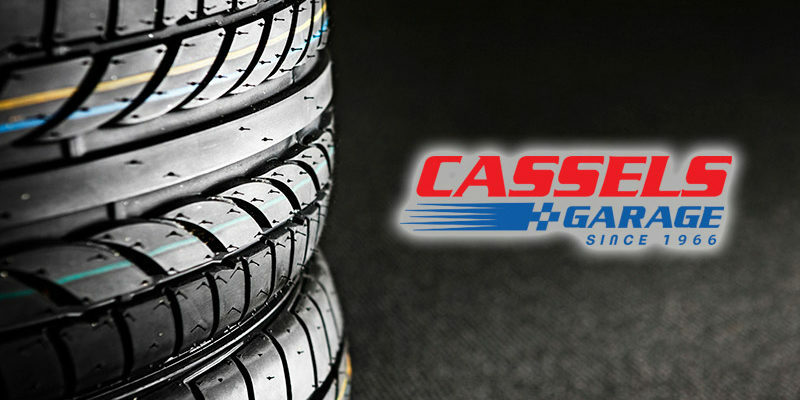 When it comes to the safety of your vehicle, tires play a huge role in keeping your car, and you, safe and on the road. Don’t take the chance of pushing your current tires too far! This could result in injury to yourself or to others and can easily be avoided by purchasing new tires for your car. Come see the best mechanic in the Melbourne area, Cassels Garage, for auto services, maintenance, and repairs.